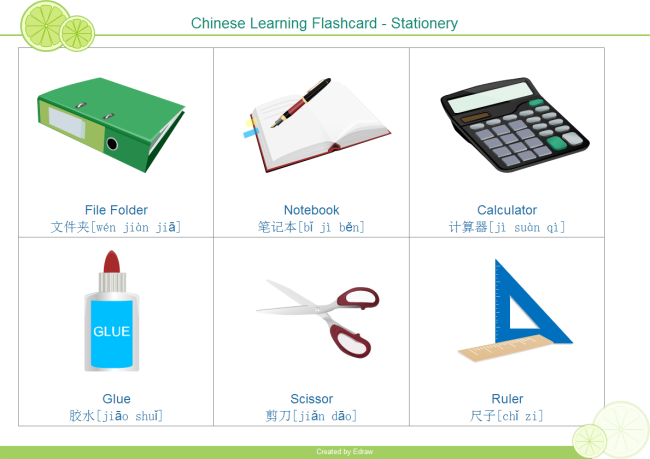 Description: An appealing and useful flash card about stationery vocabulary. It is downloadable, customizable and printable. Learn how to make visually attractive flash card.